Auckland Airport Transfers into the CBD are quick and easy. Taxis and shuttle buses run regularly, and many hotels run their own shuttle service for guests. If you're catching a flight, it's always wise to pre-book a cab or shuttle. Airport Transfers into Auckland couldn't be simpler. On arrival, simply head outside the terminal building, where you'll find a taxi rank and a shuttle queue. 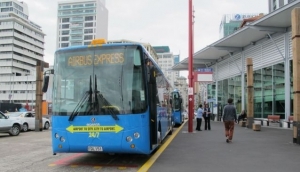 An alternative option is to catch the Airbus Express service that runs 24 hours a day, seven days a week, completing its journey at the Britomart Transport Centre in the CBD.